This fiberglass rental ladder has a 24 foot working height, and like all fiberglass ladders, its non-conductive vertical rails area a key safety factor on electrical projects. It has a 300 pound duty rating of 300 pounds, along with slip-resistant treads and interlocking side rails. 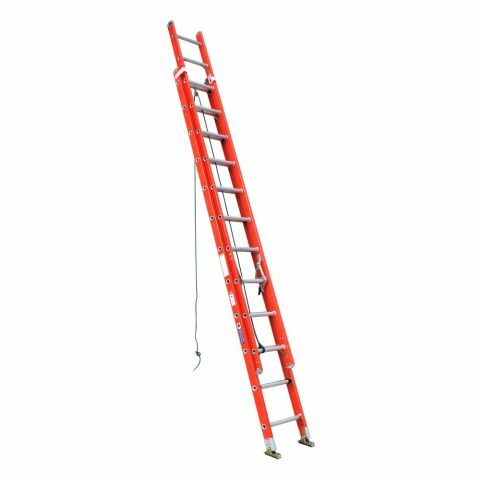 This unit can be used as a 24-foot extension ladder, or the two sections can be separated, and the base can be used as a lighter weight 12 foot ladder.